Uneeda Doll Company Inc. made the Dollikin dolls from 1958-1970’s. Dollikin’s began as 19-20″ fashion dolls – the world’s most posable doll. Marked UNEEDA 2S(sometimes mis-read as Uneeda 25 or Uneeda 28), they had rooted hair in various colors and several styles, sleep eyes and most amazing – 16 joints to pose her, just like a human (well a young one at least). The doll had a wardrobe as usual, that resembled the current fashions. What are we worth; what parts are we missing? 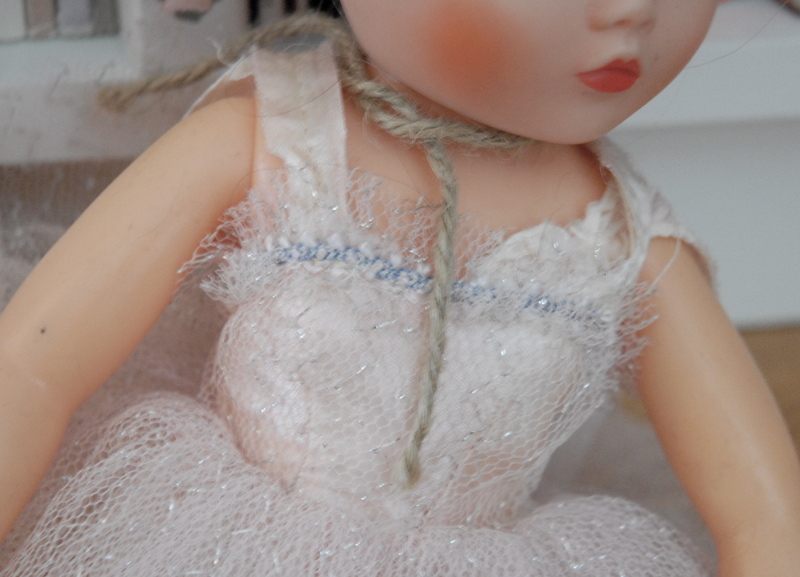 Posted in Fashion, Photography, Writing and tagged "doll", "Dollykins", "painted dolls", "Uneeda", "women", Fashion. Bookmark the permalink. ‘Dollykins’ and I are loving your visits and the applause! Thanks Lisa!